The nation's largest drugmakers have paid at least $8 billion in fines for repeatedly defrauding Medicare and Medicaid over the past decade, but they remain in business with the federal government because they are often the sole suppliers of critical products, records show. Pfizer, the maker of drugs that help alleviate arthritis and other ailments, has paid almost $3 billion in fines since 2002 and entered into three corporate integrity agreements with the Department of Health and Human Services aimed at preventing future fraud. It and other companies are fighting attempts by Congress to exclude them from government business because of their history of fraud. Merck, another pharmaceutical giant, paid $1.6 billion in fines since 2008, Medicare and Justice Department records show, to resolve claims it was not paying proper rebates to the government. 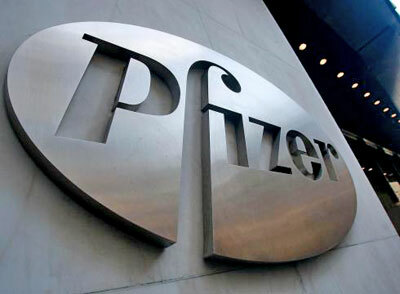 Pfizer's 2009 settlement was for improperly promoting the use of drugs for purposes other than those for which they were approved by the government. Merck's 2008 settlement involved claims the company paid illegal kickbacks to health care providers in exchange for prescribing its drugs. Government investigators say their hands are tied with the tools they have. They can exclude Pfizer and other pharmaceutical companies from providing medications to Medicaid and Medicare beneficiaries as punishment for bad behavior, but that would leave beneficiaries without drugs patented through a particular company. Or they can fine the companies and force them to enter corporate integrity agreements that require government oversight and a promise not to defraud the government again - a promise that often goes unkept. "We're seeing some of the big companies a second and third time," said Gregory Demske, assistant inspector general for legal affairs for Health and Human Services. "The corporate integrity agreement is not sufficient to deter further misconduct." In addition, the cases are labor- and cost-intensive as the companies fight often for years to avoid an exclusion, Demske said. To try to change that trend, the government announced in 2010 that, rather than exclude an entire company, investigators would go after individuals within a company. his organization, the Justice Department and the Food and Drug Administration have come up with some ideas to use within the scope of the rules - such as taking away a company's patent rights as a condition of a settlement. That could begin with cases being investigated now, he said. "the inspector general to use all-or-nothing, mandatory exclusion penalties against corporations that have committed fraud." The bill would allow the exclusion of individuals from working with the government even after they've left the company where the fraud occurred. Pharmaceutical companies altogether spent more than $200 million lobbying Congress in 2011, including $12 million spent by Pfizer. At least 12 pharmaceutical and medical device companies are lobbying specifically against a House bill, HR 675, that complements Grassley's. ... contacted by USA TODAY responded to questions about their response to the government's proposed enforcement actions. The industry's trade group, the Pharmaceutical Research and Manufacturers of America, says excluding an individual should occur only when there is "significant wrongdoing" that the individual knew about and did nothing to stop, said Matthew Bennett, the group's senior vice president.